Louis aka Suduaya is not only a great musician always on tour. He's also an amazing being, a very nice altruist person. You surely have crossed paths in person with him in a festival somewhere on earth. This is surely why his music appeals the good in so many of us. Also this is maybe why his music does good things on the soul and refreshes our senses. With his latest offering to the music world, "Venus" draws us into a futuristic place where energies are pure pulses of light and where nature takes shape with beautiful melodies...Here we can learn to open our hearts to the potentials of life and let the world soften us. 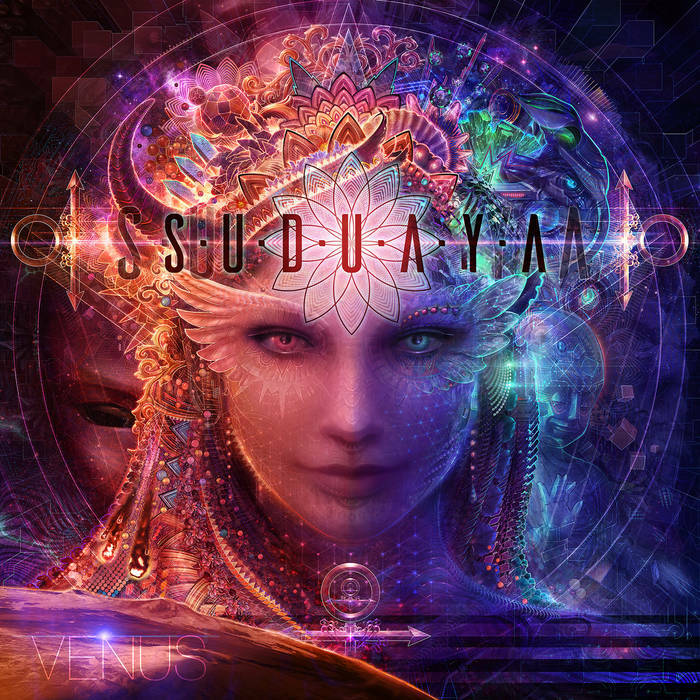 From ambient realms, driving basslines, enchanting and purifying melodies, enter the world of Venus, a place of good fortune and prosperity gifted by virtue. Amazing poster-size print available within any Bandcamp purchase (digital/CD of this album). The dimension is 25x25 in (7500px) at 300 DPI resolution. The file is 40Mb. Finally it's here. High quality melodic progressive trance in the 125-135 bpm maximum range. Carefully selected by Altar Records. We're starting with |ARPR01|the first Ep of a serie following the color sheme. BLUE WHIRL is Hudur Shrim aka half of Profondita, Ko-Doa, Hudur Shrim Music. Then later on, we'll have Raindrop from Mexico offering an electrifying morning psyprog EP. WINTER New and last VA from the "Season Series"
Thanks so much for your time and support! I hope your 2017 will be long and prosper.